More about Marimekko Unikko Blue Full / Queen Duvet Cover Set Get up on the right side of the bed each morning when you wake up to your favorite Marimekko pattern. 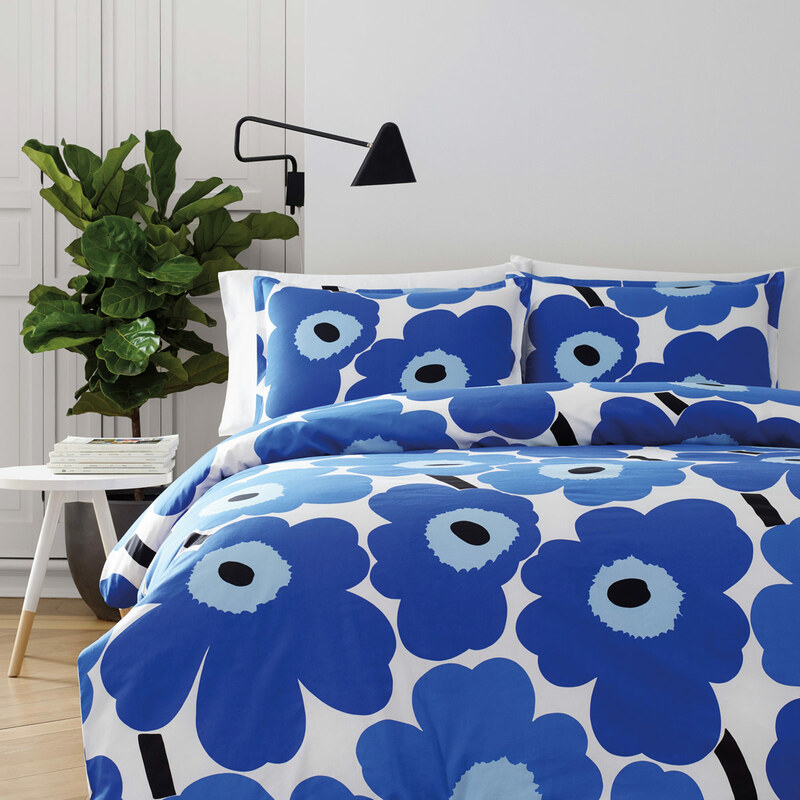 Maija Isola's iconic 1964 poppies are featured in beautiful shades of blue: a calming, cool color scheme perfect for the bedroom. 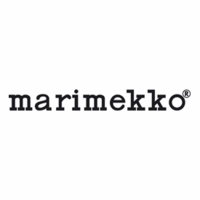 Made from 100% cotton percale in a 200 thread count, this is soft set won't irritate your skin and is conveniently machine-washable. 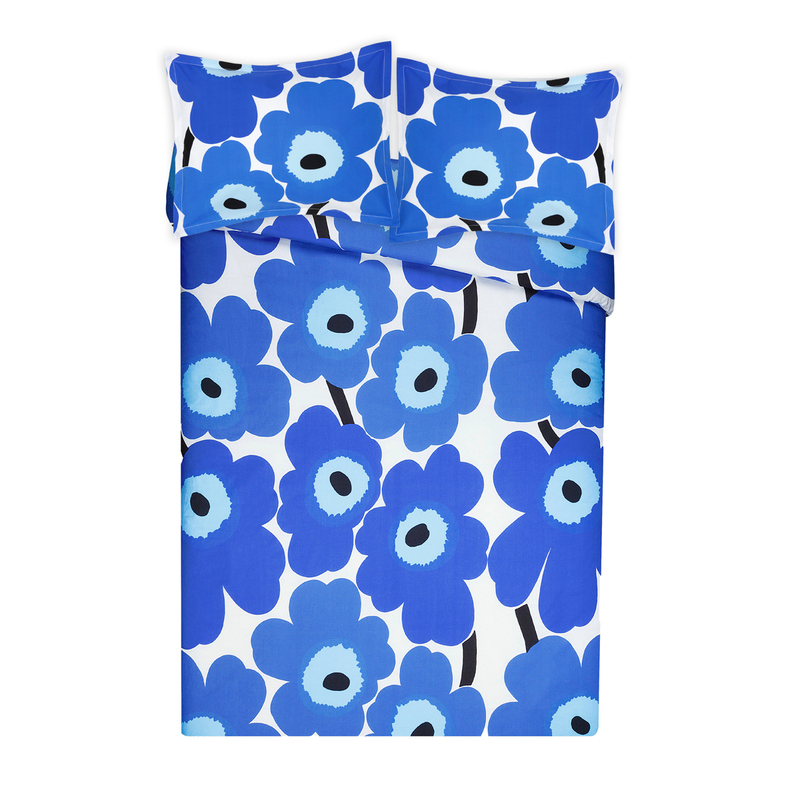 Whether you are eight years old or 80, the iconic Unikko pattern on this Marimekko Unikko Blue Bedding will still resonate with you feelings of joy and comfort.